Paula Alvarez, Ph.D., is a bilingual (Spanish/English) psychologist who specializes in community mental health, working with minorities. Dr. Alvarez immigrated from Colombia to Los Angeles, CA in 2000,at age 16. She earned her undergraduate degree at the University of California, Santa Cruz, and entered the Palo Alto University M.S. Psychology Ph.D. Prep program in 2007. Through this program, she transitioned directly into Palo Alto University's Ph.D. in clinical psychology program where she earned her doctoral degree. Because the M.S. 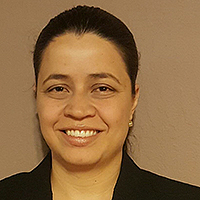 Psychology (Ph.D. Prep) program is online, with only a one-week residency requirement, Dr. Alvarez was able to complete the first two years of her doctoral studies while working full time as a case manager in the community. “The distance learning program was great because, although it was challenging, it allowed me to continue gaining practical experience in the community, while still learning academic fundamentals of clinical psychology,” she says. During her doctoral studies, Dr. Alvarez received a scholarship from the California Department of Mental Health for her dedication to providing mental health services to underserved populations. She completed her doctoral internship at the APA accredited site, Heritage Clinic, a division of the Center for Aging Resources in Pasadena, California. Her research focuses on Latino/a geriatrics mental health, and caregivers of family members with Alzheimer’s disease. Gallagher-Thompson, D., Tzuang, M., Hinton, L., Alvarez, P., Rengifo, J., Valverde, I., . . . Thompson, L. W. (2015). Effectiveness of a Fotonovela for Reducing Depression and Stress in Latino Dementia Family Caregivers. Alzheimer Disease And Associated Disorders. Ivy Hall entered the Palo Alto University M.S. Psychology Ph.D. Prep program in 2007. From there, she transitioned into the PAU Ph.D. in Clinical Psychology program, earning her Ph.D. in 2013. She is now a licensed psychologist employed as a staff psychologist at the California Department of State Hospitals in Vacaville, CA. Having previously earned her Bachelor of Science in Psychology with an emphasis in Clinical Psychology from University of California San Diego, she was seeking a program that would enable her to continue working while becoming acclimated to the demands of graduate studies. “The M.S. 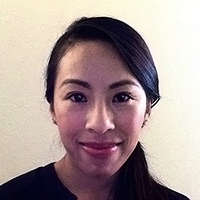 Psychology Ph.D. Prep program at Palo Alto University gave me flexibility to continue working while gaining valuable experience that contributed to my growth as a clinician," she says." In PAU's M.S. Psychology Ph.D. Prep program, all course work is delivered online, and the residency requirement at the Palo Alto campus is only one week. Students only relocate to the residential Ph.D. program after they have completed their master's-level coursework. Through Master's and Doctoral studies at Palo Alto University, an APA internship at the Southern Arizona Psychology Internship Consortium, and postdoctoral training at the California Department of State Hospitals, Dr. Hall has become a skilled professional with extensive clinical experience across multiple modalities with diverse populations. She has treated individuals with substance abuse and dual diagnoses, anxiety, depression and mood disorders, chronic pain and illness, PTSD, and end-of-life issues. Populations she has served include veterans, dually-diagnosed, Axis II, young adults and families, and incarcerated persons in inpatient, residential, and outpatient settings.